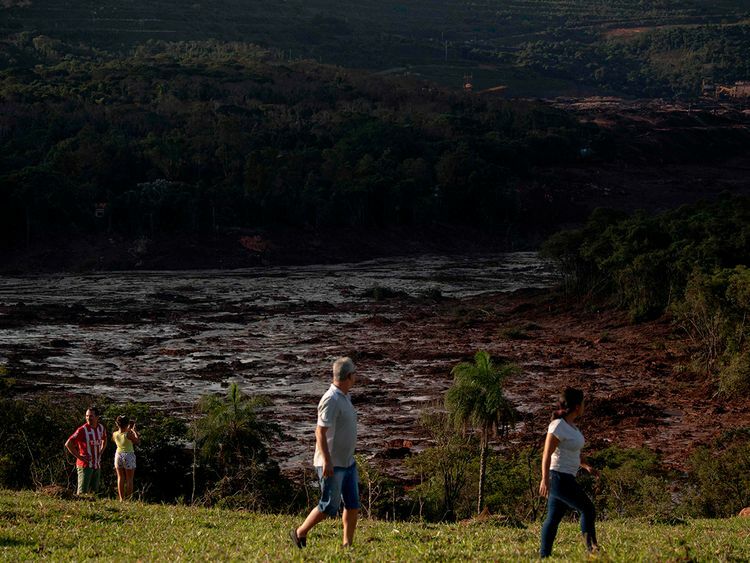 Brumadinho, Brazil: Fears of a second dam breach at a Brazilian mining complex receded Sunday, enabling a search to resume for the more than 300 people still missing two days after a dam collapse that has killed at least 58 people. Loudspeakers rang out at 5.30am (11.30am UAE) among homes surrounding the Corrego do Feijao mining complex in southeastern Brazil, warning of dangerously high water levels, according to mine owner Vale. Firefighters halted the search for survivors and immediately began evacuating communities near the dike, which contains at least three million cubic metres of water. “There is no more risk of a break,” said Lieutenant Colonel Flavio Godinho, a spokesman for the state civil defense agency, explaining that the high water levels had been drained off. “I had to leave with my family, my children,” Jose Maria Silva, 59, told AFP. The disaster was the first big emergency faced by Bolsonaro and his government since he took office in early January, and it may be one of the deadliest disasters in Brazil’s history. Workers at its mine had been at lunch in an administrative area Friday when they were suddenly swamped by millions of tons of muddy trailings — a waste byproduct of the iron-ore mining operations. The ruptured dam, 42 years old and 86 metres high, had been in the process of being decommissioned. Vale said it had recently passed structural safety tests. After overflowing a second dam, the muddy mass barreled down toward Brumadinho but only glanced along the town’s edge before roaring through vegetation and farmland, smashing houses and swallowing tractors and roads in its path. Brazilian judicial authorities announced they had frozen $3 billion of Vale’s assets, saying real estate and vehicles would be seized if the company could not come up with the full amount. The mining company, one of the world’s biggest, was involved in a 2015 mine collapse elsewhere in Minas Gerais that claimed 19 lives in what is regarded as the country’s worst-ever environmental disaster.